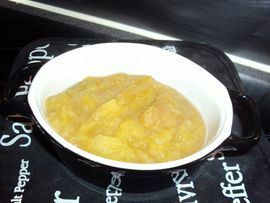 Soup is a nice way to eat fruits. 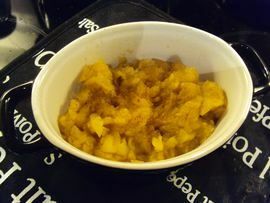 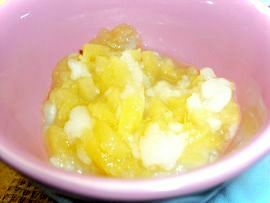 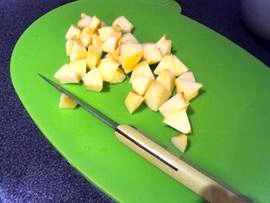 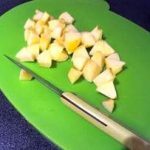 Moreover, cook them in microwave is a a really quick way to use “old” fruits. 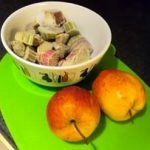 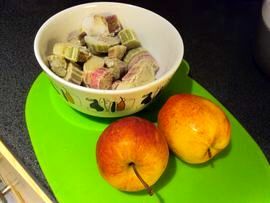 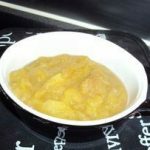 How to make Apple and rhubarb soup?